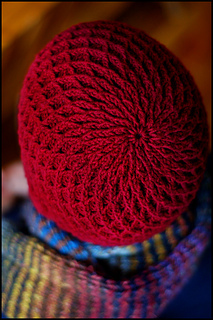 This pattern originally appeared in Interweave Knits Holiday 2007 issue. 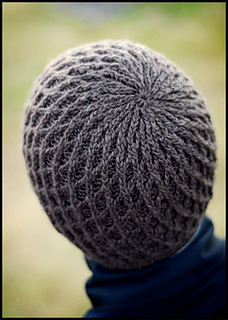 The pattern is now available as a PDF download through Ravelry or Brooklyn Tweed directly. It is also available from Interweave as a PDF download. The design was inspired by the work of Dutch architect Rem Koolhaas. 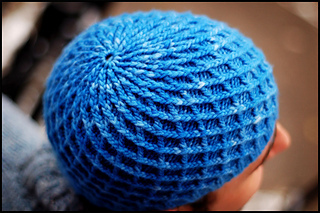 His geometric, structural patterns at the Seattle Public Library informed the cabled lattice motif encircling the beanie. 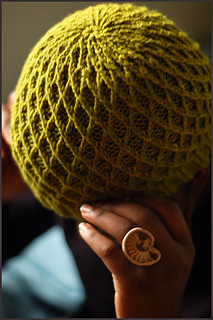 The designer posted a clarification on Ravelry in this thread a few years ago, which may still be useful. 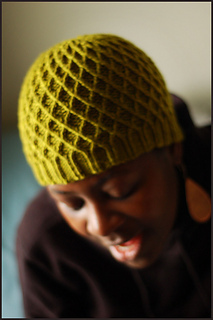 Please note: the main stitch pattern in this garment is charted only.